Welcome to my site. 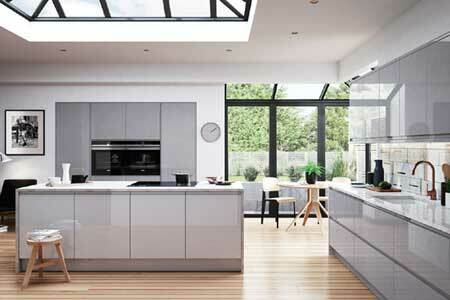 I'm a kitchen designer and fitter offering a true one stop shop from conception to completion. I personally design, source and install all my projects, providing a seamless experience. The focus is always on maximising a combination of quality, value and choice. "I can thoroughly recommend Andy as both a thoughtful kitchen designer and a skilled and reliable fitter." "By far a superior service to that you would receive from a high street chain, he designs, installs and importantly takes responsibility for everything." "As Andy is designing and installing, it all works, as he's looking at both point of views, designer and installer." "Design guidance, advice on materials coupled with excellent workmanship come as standard with Andy." Every kitchen is sourced from a variety of compatible & trusted suppliers, which offers far greater choice, quality and flexibility when compared to using a single supplier for all items in a kitchen. This is referred to as the component market within the industry and is best suited to experienced designers & installers. 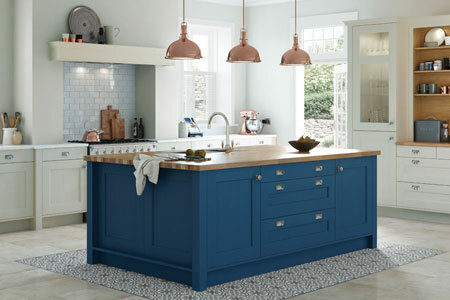 Cabinets are built to order in East Sussex in a comprehensive range of sizes and colours. Bespoke options are also available. Doors are sourced from a variety of leading European door manufacturers (with the majority made in Italy). Over 70 different waste bins & recyling systems are available from 10-80 litres. 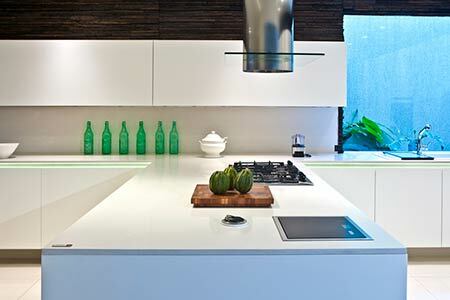 Granite, Quartz, Dekton, Timber, Corian & Laminate worktops. A truly comprehensive lighting system with full remote controlled LED strip and spot lights. A full range of quality larders & pullouts to cover all storage options.